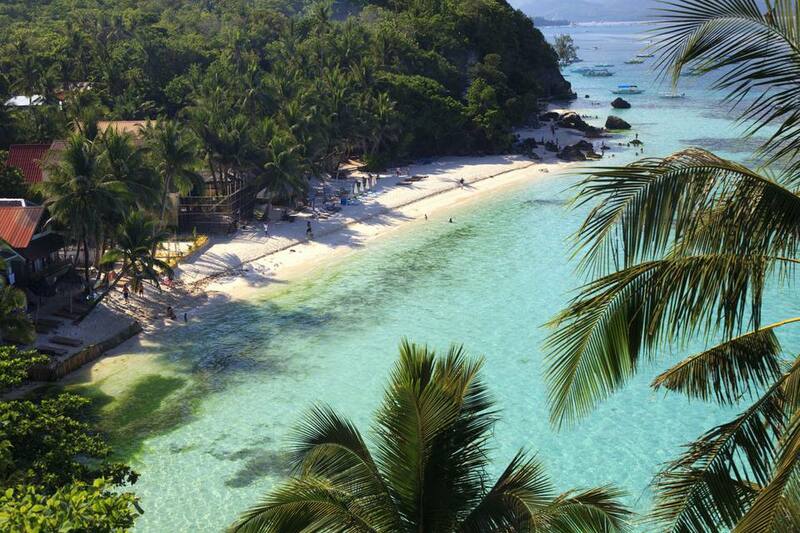 Deciding the best time to visit Boracay in the Philippines is a little tricky. You’ll have to choose between the risk of rain during the wetter months or dealing with growing crowds that come to enjoy the sunshine. Boracay can be enjoyed practically any time of year, but don’t get surprised by less-than-ideal weather or big holidays that cause room prices to skyrocket! Boracay is affected by two primary weather patterns: the Amihan and the Habagat. The Amihan season (beginning sometime in October) brings a cool, northeast wind blowing across the island; there is usually less precipitation. The Habagat season (beginning sometime in June) brings wind from the southwest and often plenty of rain as the southwest monsoon enters the region. The best time of year to visit Boracay is ideally between the dry and wet seasons, during the transition months. With a little luck, you’ll still enjoy nice weather as well as beat the crowds and rate increases. November is often a great month to visit Boracay. Predictably, the driest months on Boracay are also the busiest as crowds come to take advantage of the idyllic weather. If Boracay gets too busy, you could always escape to another island alternative in the Philippines. Mother Nature doesn’t always follow a set pattern, but Boracay Island experiences the least amount of rain between the months of November and April. February and March are often the driest months. The island still does receive periodic rain during the ‘dry’ months, and typhoons in the region can certainly produce plenty of days with perpetual rain. The wettest months on Boracay are usually between May and October. Traveling during the low/rainy season does have some advantages. Along with fewer crowds on the beaches, you’ll often find much better deals on hotels and people are more willing to negotiate prices with you. There are still plenty of sunny days to enjoy during the rainy season—it’s all just a matter of luck! The wettest months on Boracay are typically from July to October. You probably won’t have to worry about being chilly on Boracay, no matter what time of year you choose to visit! Average highs for the year are around 85 degrees Fahrenheit (29.4 degrees Celsius) and lows average around 75 degrees Fahrenheit (24.3 degrees Celsius). The hottest months on Boracay usually coincide with the wet season, which means that there will be plenty of humidity if you wander too far from the coasts. Temperatures begin to rise in May and remain hot until October. Although most tropical storms and typhoons hit the region during the Habagat period (July to September), they can affect Boracay at any time of year. In fact, Typhoon Haiyan, known locally as Typhoon Yolanda, was the deadliest in history and hit the Philippines in early November. Along with weather, big holidays should be taken into account when deciding the best time to visit Boracay. You can still enjoy the island during busy periods, but you’re going to have to share! Along with busier beaches and buffets, prices for hotels will undoubtedly climb.